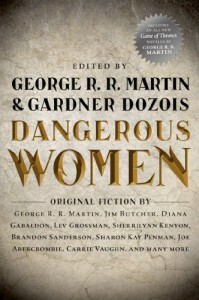 A title like "Dangerous Women" invites cliché, and this anthology features a fair number of them - particularly the femmes fatales. It could be that the femme fatale just doesn't work for me as a character. Always seen through jaded male eyes, she perhaps has a longer history than is sometimes realised as another incarnation of certain goddess figures in both ancient and modern myths. This is most obvious in Lansdale's "Wrestling Jesus", where two men fight for the favour of a woman and the winner takes her home, a clear echo of winter and summer kings and Robert Graves. But we rarely inhabit her, see through her eyes, feel her feelings, understand her actions. There's a sameness to the stories featuring her, of both plot, tone and character. Of all the femme fatale stories in this anthology, though, I did quite like Melinda Snodgrass's "The Hands That Are Not There" - the one in which we do, in fact, get a sense of her motivations and actions. Some of these stories, I didn't even finish. I think that's down to the tone. Jaded, morally-compromised male narrators...they're a hard sell to me. I can't read Jim Butcher or fake Scottish accents, so Butcher's story and Gabaldon's novella passed me by. I tried the Wild Cards story, but it didn't speak to me, and there wasn't enough magic in Caretakers to keep me reading. I enjoyed the George R R Martin novella finishing up the anthology, and I can always read about dragons and bloody civil wars...but I feel it was rather shoehorned in, and sold as a rivalry between a princess and a queen that was really a rivalry between a princess and her half-brother. It can be summed up as everyone fights, miscalculates, does stupid things, and then dies, or lives irretrievably damaged. Yay. What I want to know is whether winter was coming in that civil war, and if not, why not? The stories I liked most tended to be post-apocalyptic. Some Desperado, Pronouncing Doom, Second Arabesque Very Slowly, Shadows for Silence in the Forests of Hell. Pronouncing Doom wasn't my favourite, but I've always loved stories about the remakings of societies after disaster, and I liked the detail here. Some Desperado was just fun. Shadows for Silence in the Forests of Hell was probably my favourite. Long, satisfying and hung over by a sense of doom and hopelessness, I loved every word. Two others stood out for me. My Heart is Either Broken speaks to the way women are treated as victims of crime, disbelieved, their lives pulled apart by media and the professionals who are supposed to help them - and how that feeds distrust in their personal relationships. A Queen in Exile showed a woman with a different kind of courage to the many warrior women we tend to get as "strong female characters." The style was a bit too much telling of history but I loved the story. Name the Beast is one of the most original stories in the anthology, but takes concentrated reading. I didn't care for Raisa Stepanova by Carrie Vaughan, mainly because the ending isn't what I wanted from stories here. The Girl in the Mirror irritated me when the heroine was rescued by a man half-way through but as an antidote to Harry Potter, it's not bad at all. 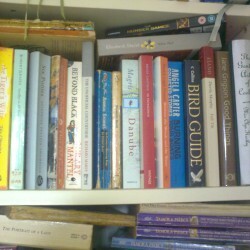 A bit of a mixed bag overall, but a lot of story for £6.99.